Ariel Atkins has been a quiet assassin who has put up productive numbers in the minutes she’s played. In the Mystic’s last three wins, she has averaged 9.6 points in about 21 minutes of play. In those three games, Atkins has made at least one three-pointer while also shooting 52-percent from the field. Along with her veteran teammates, Elena Delle-Donne and Kristi Tolliver, Atkins is averaging double-digit points at 10.8 a game and shooting 44.3 percent from the field. 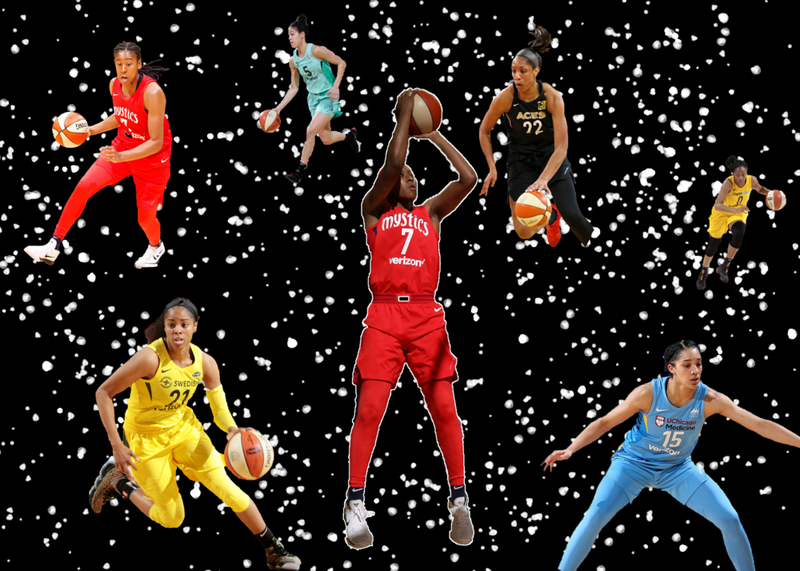 For most of the season, as a rookie, Atkins has remained the third-leading scorer for this Mystic’s team and has aided her team in a 9-5 record placing them first in the Eastern Conference. Diamond DeShields has been a complete beast in the Sky’s last two games. Against the Mercury, she scored 16 points and went 7 for 7 from the free-throw line. In the Sky’s win against the Dream, she netted 23 points and grabbed 11 rebounds and shot 37 percent from the three-point line. In both of these wins, DeShields shot at least 10 times in both games. In their win against the Mercury, she attempted 10 shots (making four) and against the Dream she went 9 of 24 from the field. This is key because when DeShields was struggling, she tends to not shoot as much but when she’s aggressive like the Diamond we all know, she puts herself in a better position to have success. Hopefully, she can build off this momentum and help keep her team’s winning streak going. After struggling early in the season and not seeing much playing time, Victoria Vivians has finally become as comfortable as she was at the collegiate level in scoring. In the Fever’s last two games, she’s averaged 19.2 points per game in 33.5 minutes of play. A’ja Wilson continues to lead her Aces team, her performance this season has been nothing short of ROY but her team’s wins is where they struggle. In the Fever’s last four games, Kelsey Mitchell hasn’t been as productive as we’ve seen her this season. She’s only averaged 11 points in their last four games playing 26.5 minutes per game. These last four games have also been losses for the Fever. For the Fever to have a better chance at winning more games, Mitchell is going to have to stay consistent. The Sparks have resigned Karlie Samuelson for the remainder of the 2018 season.